With a new compound and structual make up the P Zero Direzionale is able to maintain integrity even when pushed to the limits at high speed and in wet conditions. A reliable tyre that puts the fun back in to driving. More even tread wear aims to make the tyres life span as long as possible, saving both you and the enviornment. Designed and produced for the most highe end, luxy perfomance cares. Like the slightly less premium P Zero Rosso, the Pirelli P Zero system is available in both directional and asymmetric formats. Using directional tyres helps to maximise the dispersion of water allowing for a drier surface for the rear tyres enhancing grip in all weather conditions with a significantly reduced risk of aquaplaning. The tyres make up and design lends itself to handling well in both wet and dry conditons with a tread pattern designed to enchance cornering ability and handling in all condtions. These directional tyres should only be fitted to the front axel and will significantly improve grip, clearing water rapidly in order to create a large tread print and greater traction for the rear tyres. Like the slightly less premium P Zero Rosso, the Pirelli P Zero system is available in both directional and asymmetric formats. Using directional tyres helps to maximise the dispersion of water allowing for a drier surface for the rear tyres enhancing grip in all weather conditions with a significantly reduced risk of aquaplaning. The tyres make up and design lends itself to handling well in both wet and dry conditons with a tread pattern designed to enchance cornering ability and handling in all condtions. 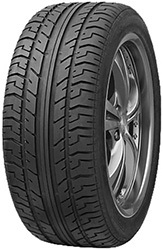 These directional tyres should only be fitted to the front axel and will significantly improve grip, clearing water rapidly in order to create a large tread print and greater traction for the rear tyres.With a new compound and structual make up the P Zero Direzionale is able to maintain integrity even when pushed to the limits at high speed and in wet conditions. A reliable tyre that puts the fun back in to driving. More even tread wear aims to make the tyres life span as long as possible, saving both you and the enviornment.